I understand that if one receives a Sun Tzu quote as an advice, he may fail to properly utilize it. But when he is explained to the letter what not to do and he does it anyway, he must be really dumb. 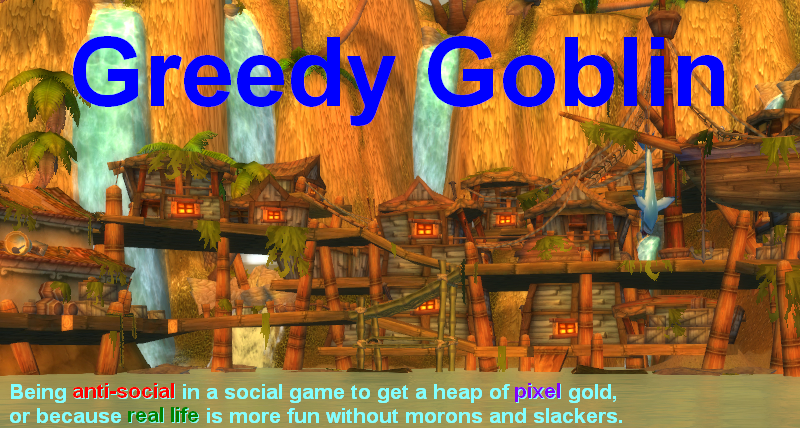 I wrote "a Goon putting ASB, MJD and a point on his blinged ratting boat and trying to PvP. Hilarious and totally pointless." And here was Iro Hilanen flying a ratting boat with ASB, MJD and a point. Probably I wasn't general enough. I should have written "Imperium member" instead of "Goon", because he thought it doesn't apply to him. Or maybe I wasn't detailed enough. I should have written that "bling" doesn't just apply to the ship, a +6% HW + full crystal pod also falls to this category. My bad. I try again: "If you are in Imperium and want to PvP, don't use a ratting boat with some random modifications, especially if the ship or pod is expensive! Try something like a Slicer or a Slasher. It's still pointless, but at least won't be hilarious." MJDs are quite useful from my own personal experience. But an ASB on a Maurader might not be the best of decisions. This guy seems to pull it off: https://www.youtube.com/watch?v=BYHdM0sqLDk Skip to 44 seconds in to see the load out. Maybe the Imperium can't pull off the obvious? Is actually a perfectly fine solo PvP Battleship fit. Except, 2-slot tank, bad diminishing returns on lows, empty utility high and piloted by an Imperium member. Otherwise, perfect. The fit is very tight on CPU, which explains the empty utility high. To be fair, if I were him I'd have replaced one Ballistic with a Nanofiber, then added a large neutralizer. The Painter, given RHMLs are used, could go - but given he's fighting the ludicrously broken T3Ds and was probably expecting them, it's fine. Also, with Crystals in the tank is decent, the only bad thing about it is the choice of buffer rigs vs. resist rigs. "Two slot" tank Ravens aren't uncommon. While underused like most battleships (Thanks to the prevalance of bombers in larger battles, and cheaper and more effective ships like the utterly broken T3 destroyers in smaller, also their slow warp speed.) it's a good ship and not just for ratting. Finally, what's bad about an Imperium member PvPing? Especially him getting actually blobbed by guys who would have, have they had the guts to fly a T1 battleship, probably met the same fate? Imperium have very low ISK ratio against Mordus, around 25%. So if an Imperium member stands and fights them, he is going strongly against the odds. It's just dumb. The Imperium openly despises small gang PvP, so it's not a place where a solo PvP-er could learn new tricks and become better by any other way than learning from his own mistake. In short: if you are a solo PvP-er, joining or staying in the Imperium isn't better choice than joining/staying in a highsec mining corp.
Also, his pod cost more than 2 triage carriers. He could tank much-much better by having an empty pod and a carrier on login screen. Its must be funny. Every time MoA or Anime Masters pops Goons pod with lots of expansive implants, they may purchase later new set from Gevlon, fueling futher their own doom. Nice retention system Gevlon! Way to go. Gevlon, ISK ratio does not equate to PvP skill. If anyone knows this it should be you. You have an excellent ISK ratio due to your months spent ganking. Do you now claim to be a great PvPer? I'm a great PvP-er compared to the highsec miners I killed. Similarly, MoA is awesome compared to the Imperium members. You are great PvPer compared to a miner because of the ships you are flying. If you and your target were in more equal combat ships you wouldn't necessarily be a better PvPer than them. ISK ratio correlates more with ganking than it does PvP skill. Great ISK ratios have more to do with the ability to find unfair fights, not combat skill. Jim L Your logic is flawed by simply fact that definition of "skill" You suggest, mystical "leetness" and so on, cant be measured. If You think that the player who get kills with amazing stunts, "troll" fits and so on is measurment for being "pro" You are simply wrong. Being pro in EVE means playing optimal. The fact is when 2 forces engage each other, battle is mostly set unless some of the sides do horrible mistake. Thus, there is little-to-none field on which You can be "pro", You simply can be "not bad" in engagment. What makes You "pro" in EVE is picking these engagments. You know Yourself, You know Your opponent, You use that knowledge to win, Your killboard is deinflated green, simply as that. Therefore isk ratio IS a valid measurment of PVP prowess, its just need to be based on valid statistics. So Yes, Gevlon was PRO PVP-er, his area of expertise was simply ganking miners. Its not that hard, but Gevlon did his best to achieve optimal results, that is what we call being "pro". Of course that dosent means, he is pro PVPer on other fields, like hunting supers or null-sec ratters. a) Activity of his choice is plain stupid and no-one should do it, as game punishes that behaviour. b) He lacks skills needed to do said job in a optimal way. You could argue, that in null isk ratio is meaningless, as long as strategic objective is achieved. Sure, if Your alliance holds economic power to dominate enemy with pure isk, its gonna work. But it is far, far away, from being PRO at shooting ships, in the best scenario it makes Your alliance managment PRO at harvesting tons of ISK-s (be it moon-mining, market manipulation or corp taxes). Usually, actually good solo PvPers maintain about 50% ratio. The ones that are skilled - they kill opponents of equal or lesser skill, and die to those of higher or those with links/blob/higher skill. So they don't get the massive 90's. Of course, the killboard-great "soloers" only pick fights they can win, there's quite a lot of skill in avoiding those you can't. But most of your kills come from the ones you have in your pocket. "Also, his pod cost more than 2 triage carriers. He could tank much-much better by having an empty pod and a carrier on login screen." Buying a triage carrier itself okay, maintaining an alt that can pilot it at all time and having it in range with Phoebe changes - way more difficult and expensive. At the current prices, it costs about 1 billion/month, you have to factor in training one that can triage and has good overall skills to fly a capital and be worth it. Also, while solo/small gang is not exactly encouraged by the Imperium at large, SIGs often engage in it and come out on top. Often not against MoA though, given when using small gang tactics it's better to be on offense than defense. In fact, there was a group that successfully did it against TEST in that war we were supposed to loose. The thing about ISK ratios is about where the money is coming from. Like Marek said, MoA's ISK ratio is actually superior to the numbers given, because implants destroyed then get purchased - at least in part - from Gevlon, and the ISK gets funneled right back in. #1 Just because something is hard to measure does not make it mystical. #2 You keep trying to tell me what I think and your not doing a very good job of it. Why not address the words I actually say rather make up stuff and tell me I am thinking it? #3 If you think combat skill is mystical, let pay Gevlon to enter the next tournament and we will bet on the outcome of his matches. What you say? @Jim L: "PvP Skill" is not simply hard to measure. It's irrelevant outside of the artificial AT arena. ISK ratio isn't the measure of "PvP skill", it's the measure of the state of the war between parties. CODE having 90% doesn't mean (and doesn't want to mean) that they are "l33t". It merely means that they are pwning the miners hard and any miner is better off running if he sees CODE coming. Similarly the 75% ISK ratio of MoA against Imperium means that they are beating them badly and any Imperium member who stands and fights has a 1:3 chance to succeed. Gevlon and how excatly would we define "PVP Skills"? For me is the abillity to properly examine battlefield, enemy and our own strenght and based on these variables conclude optimal solution. The better skill we got, the more "tricks" we have upon our sleeves. Obviously when we lose more ISK than we destroy, we are on the wrong side of Gauss curve, and that is highly correlated to our skills. Nothing happens "randomly", we made stupid mistakes and more experienced players abused it. The problem is - I think - that the people would like to compare each other based solely on ISK ratio. That is indeed stupid. Good gankers have highest ISK-Ratio, right. But field of their expertise is much diffrent from lets said small-fleet PVP-ers. So while You can compare one ganker to another based on their ISK ratio, number of kills etc., You cant compare ganker to supers hunter. MoA vs Goons is not ganker vs super hunter comparision. Is -guys who do pvp in null- vs -guys who do pvp in null-. So useing ISK ratio between these two parties are very good measurment of skills on both sides. If for every ISK dmg MoA does to Goons, Goons would inflict back 3 ISK Damage to MoA, Gevlon would stop financing them (why feed kills to Imperium?) and they would propably disband for being so bad. Yet, Goons despite trying to force out MoA, cant achieve that... Obviously because they lack counter-strategy/skills to do so. Unless someone want to tell me "Goons couldnt care less about these losses", then... well... Organisations that stops to care, are on straight road to fail. And that is Gevlon objective, aint it? So... Yes. I think properly examinated ISK ratio is indeed very good indicator of skills. A 75% ISK ratio does not mean that a MOA player is going to beat a Goon 3 out of 4 times. There is so much wrong with that statement it isn't even funny. ISK ratio describes what happened, not what will happen. It has zero predicative vale. Also, ISK ratio is weighted by ISK, not encounters. If I beat you 9 times in a row in cheap ships and then you beat me once when I am flying an expensive ship you will have a positive ISK ratio, but it says nothing about your win/loss ratio of the encounters. Yes, because the past has no predictive value to the future. The fact that Somalia was a very poor country in the previous years can't tell us anything how they'll perform in 2015. Maybe they'll be the richest country this year. Want to buy some Somalian state bonds? ISK ratio reports what's matter. It is true that you can win more and still have bad ISK ratio, but who forced the specimen in the post to try to PvP in a 4.6B pod? Choosing a proper ship is just as important as flying it.